Don’t forget the Extra discount at checkout! 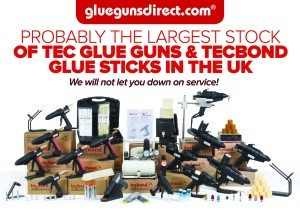 Buy glue guns, glue sticks, glue dots, CT1 sealant, Power Grab n Bond and get an extra discount at checkout. 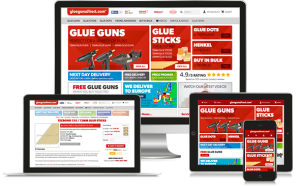 Spend £50 nett and receive a £5 discount at checkout, receive a £10 discount for orders over £100 nett and £20 discount for orders over £200 nett. The discount is applied to the nett order value before VAT/Carriage is added. 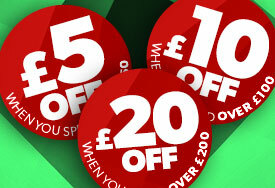 Further discount (£5, £10 & £20 off) at checkout do not apply to Clearance Products, sorry. Order before 4.30pm for next working day delivery or select the FREE delivery option.